Geneva - The decision taken by the International Court of Justice regarding the case filed by Qatar against the UAE on the basis of Article 22 of the International Convention on the Elimination of All Forms of Racial Discrimination should be further built on by compensating the victims, says the Euro-Mediterranean Human Rights Monitor in a press release issued today. The UAE and three other countries have taken restrictive measures against Qatari citizens in June last year, which resulted in unnecessary harm to civilians and discrimination against persons who hold Qatari citizenship only. The International Court of Justice (ICJ) said in its resolution today that several international human rights reports, including Euro-Med’s report about a month ago, have confirmed the impact of measures taken by the UAE and other countries, which have caused families to separate and have prevented students from completing their education, without any legal justification. 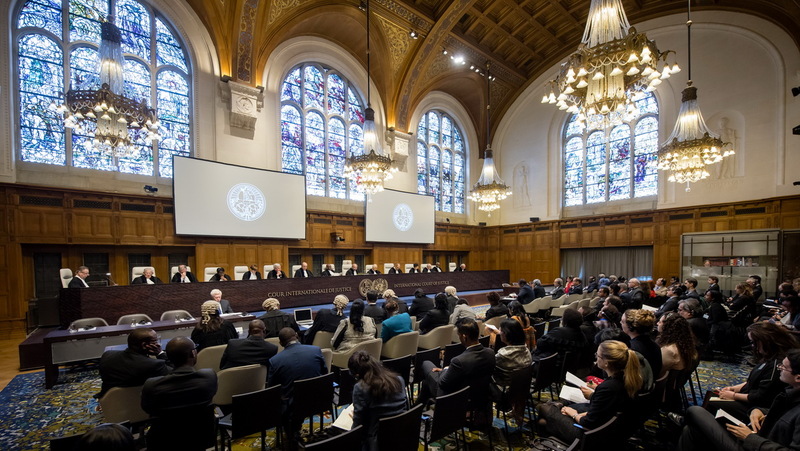 In a ruling issued today, the International Court of Justice (ICJ) said that mixed Emirati Qatari families were discriminated against because of the measures, while Qatari residents living in the UAE were forced to leave their homes without return. These measures did not leave Qatari students studying in Abu Dhabi without harm; they were rather prohibited from completing their exams or other graduation requirements. These measures “targeted only Qatari nationals, making it a discrimination case; at the very heart of the jurisdiction of the Court, in accordance with the International Convention on the Elimination of All Forms of Racial Discrimination. The court, which is the highest international tribunal to deal with disputes between States, called on the UAE to implement a number of interim measures, which the court considered binding. The Court stated that Abu Dhabi should allow Qatari nationals to enter the UAE and be enrolled in universities in the UAE to complete their study or obtain the files necessary to complete their education in other universities outside. The importance of this decision goes beyond protecting civilians from the arbitrary measures placed by the UAE and other countries on Qatar. This resolution sends a message to all countries that they must exercise their policies and relations with countries with respect to human rights, said Sarah Pritchett, Euro-Med’s spokeswoman. State sovereignty is not absolute if its actions or decisions lead to arbitrary violations of human rights, adds Pritchett.